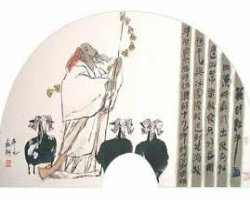 Su Wu Tending Sheep(苏武牧羊, Su Wu Mu Yang) was composed by Tian Xihou (田锡候) or Bai Zongwei (白宗魏) around 1911. It was originally school song which produced in the early Republican era. Enjoy Su Wu Tending Sheep(苏武牧羊, Su Wu Mu Yang, Guzheng,古筝) in your browser now (just click the Play button below).